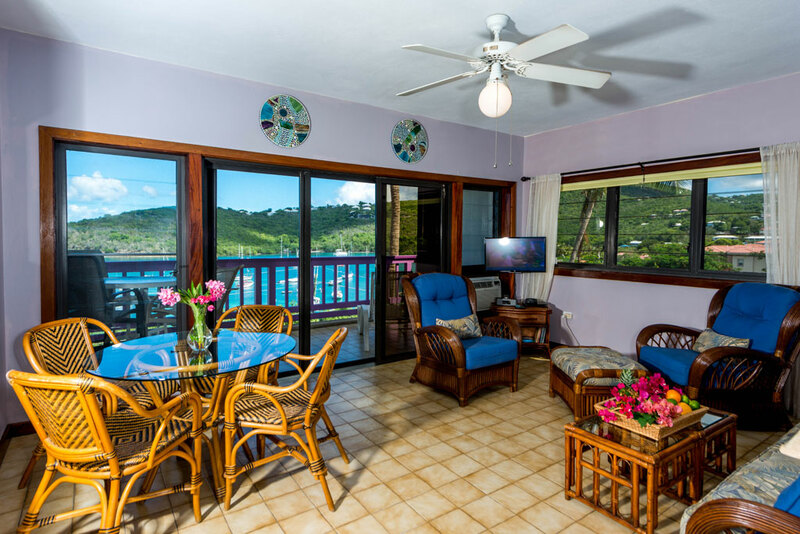 Easy main-level access leads to a perfect nest overlooking sea and pool, a brand new bath, and stunning views from 2 decks overlooking gardens, sea, and pool. 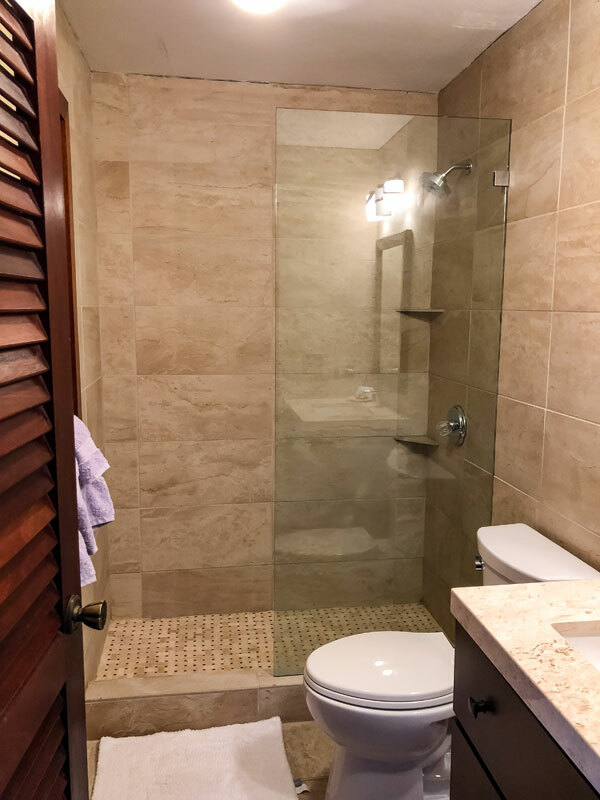 Bathroom newly renovated. 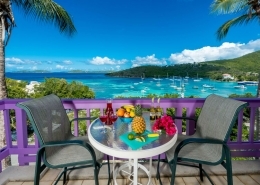 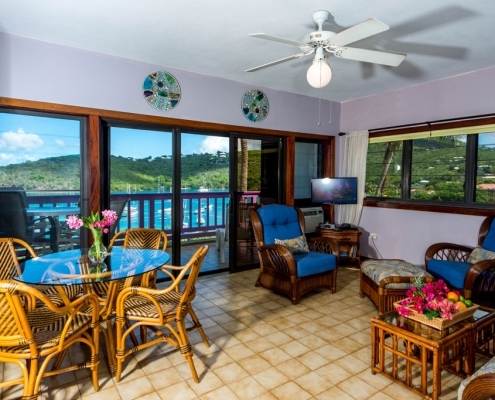 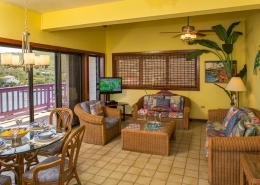 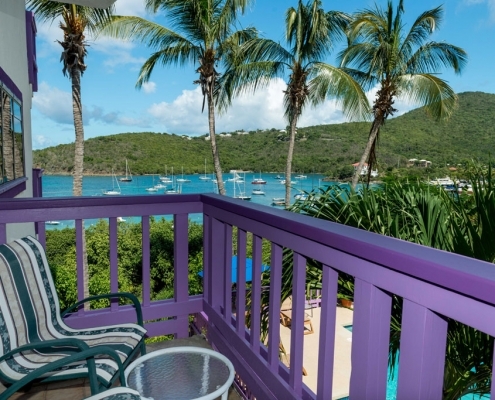 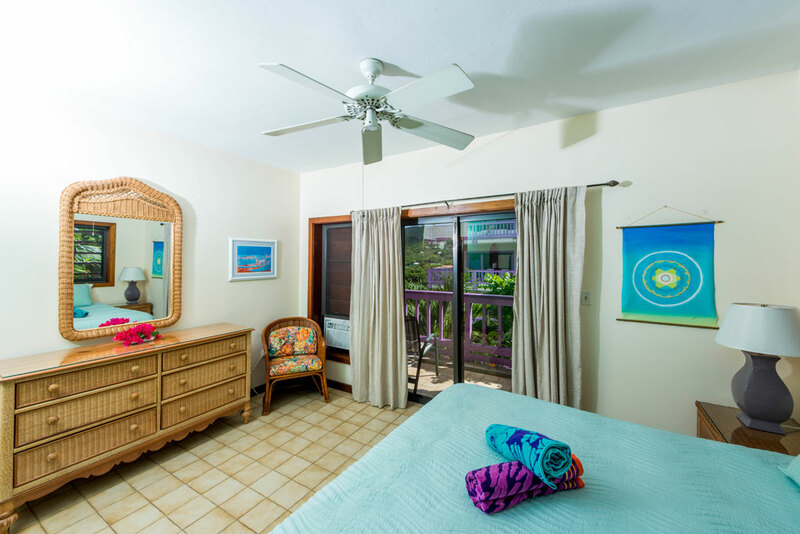 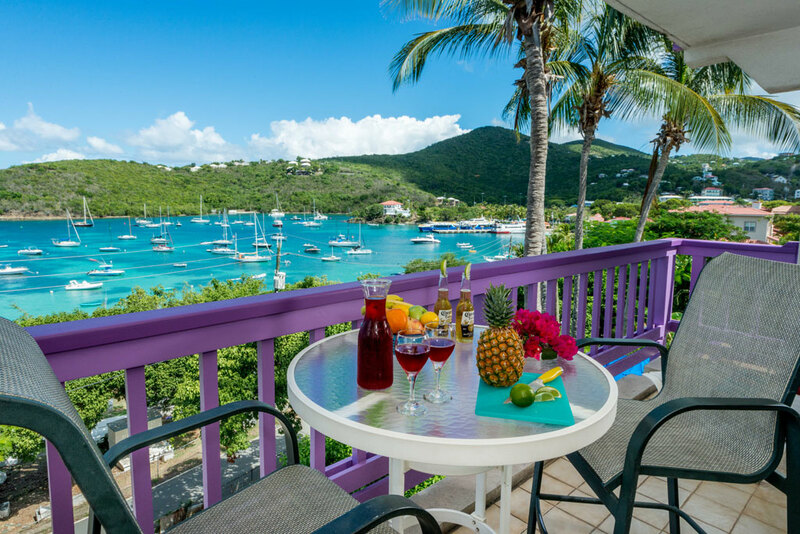 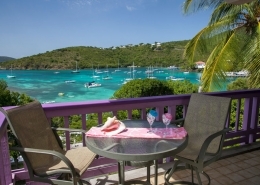 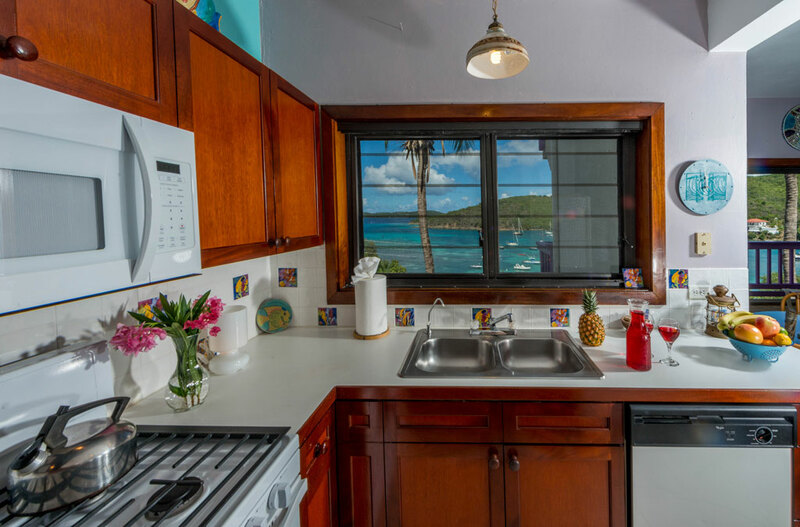 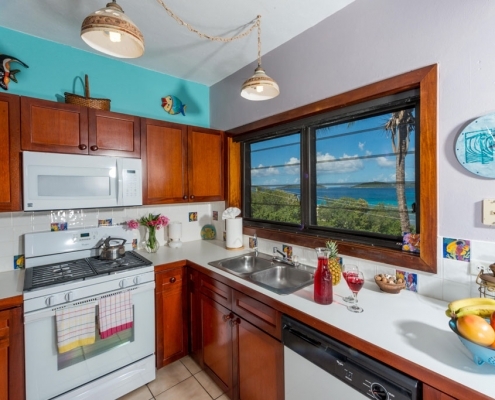 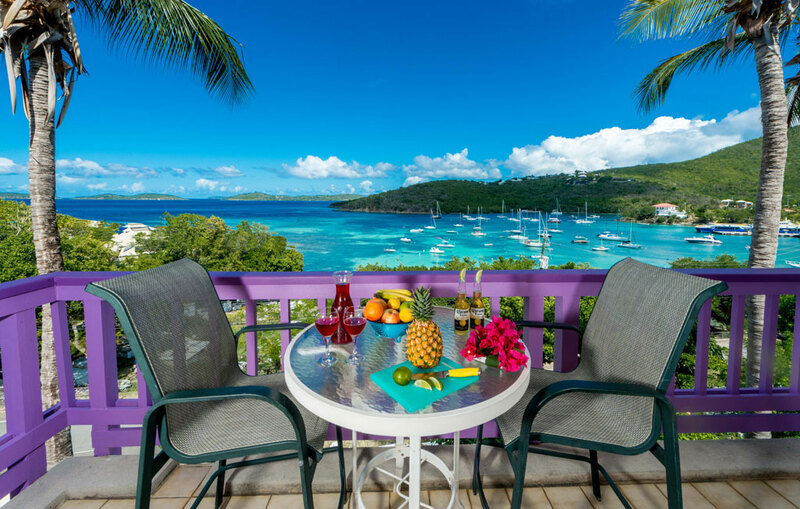 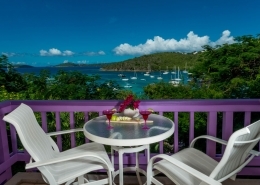 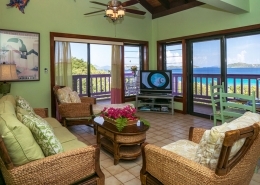 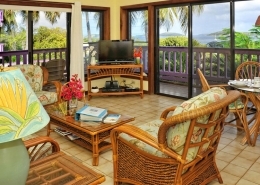 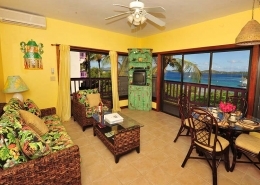 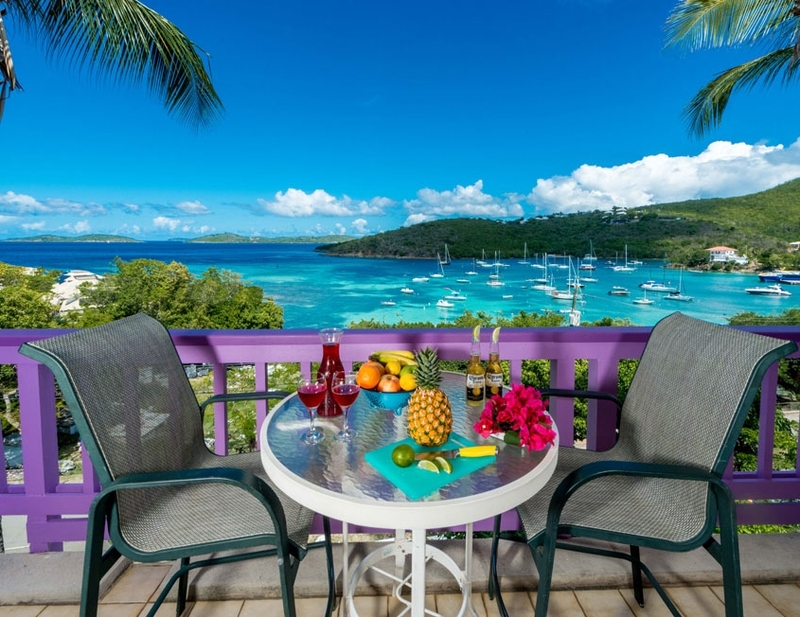 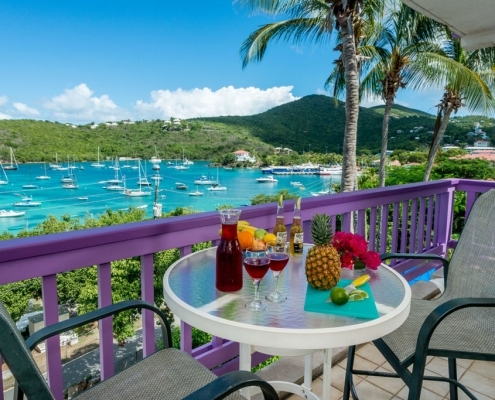 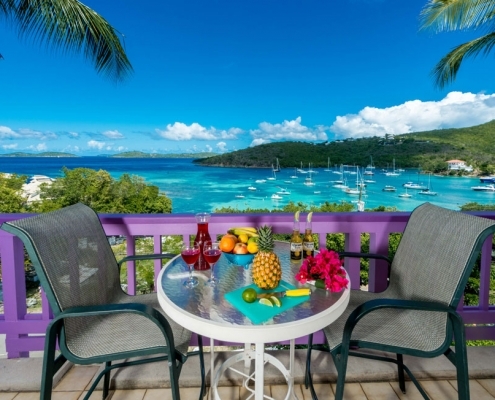 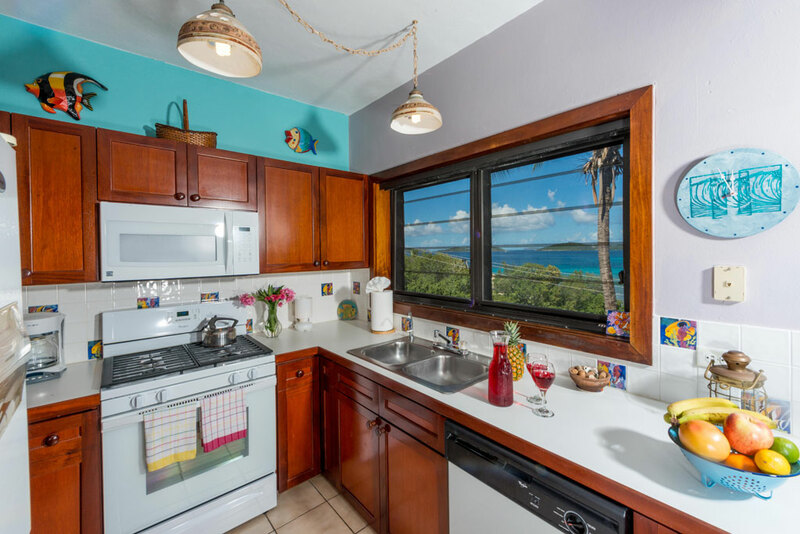 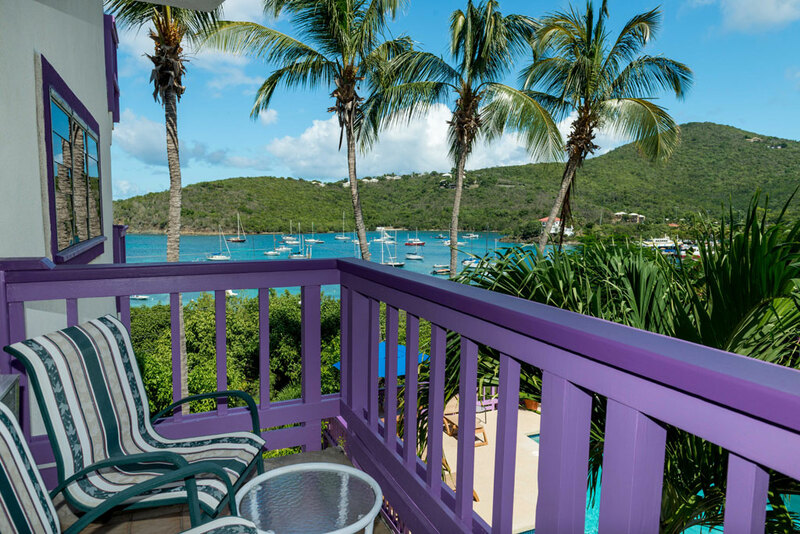 Fashionable and updated for guest comfort, unit 5W enjoys lush breezes and dramatic views of Cruz Bay and other islands from its two balconies—one for dining with spectacular water vistas and the other over-looking the refreshing pool. 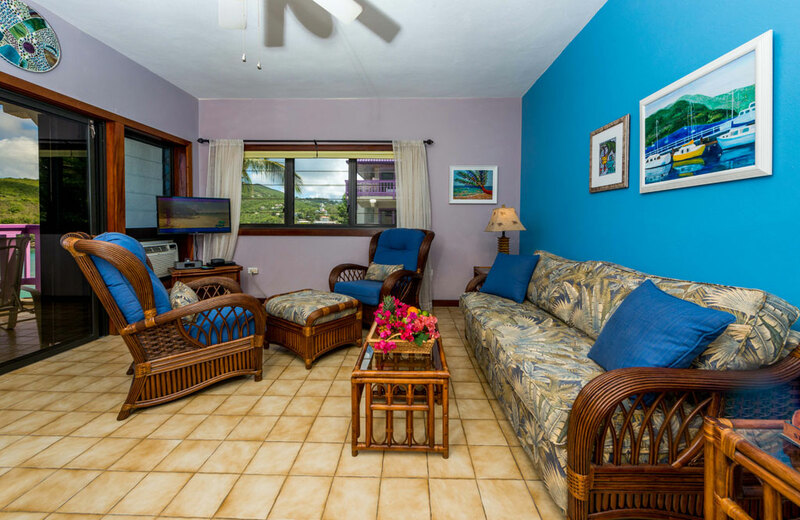 Your entrance foyer offers a tidy, convenient desk area, the comfortable living room offers cable tv as well as an iphone/ipad docking & charging station. 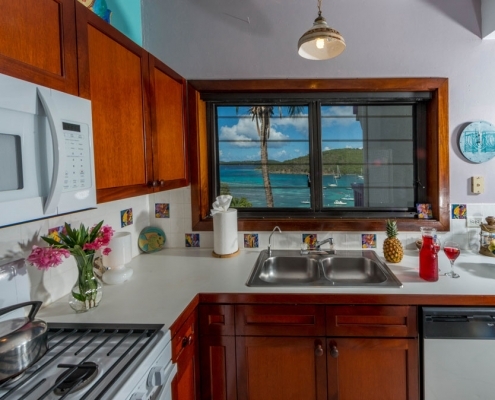 Your kitchen is fully-equipped for serious cooks and even offers a pancake griddle. 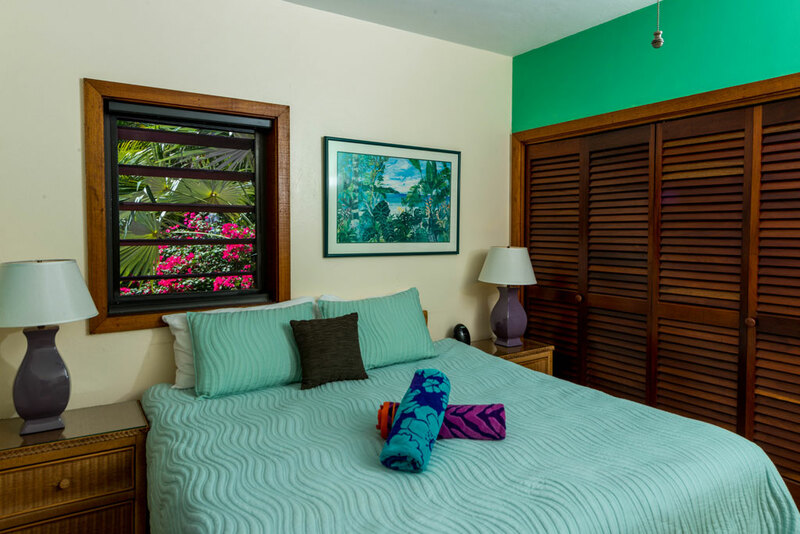 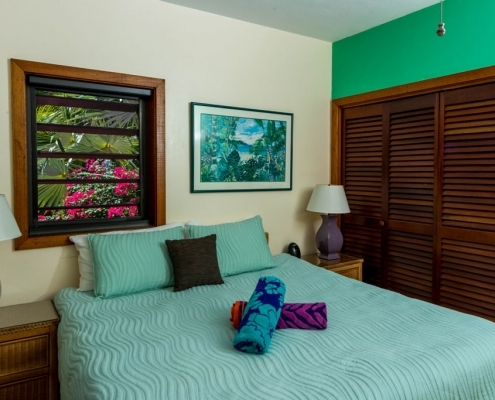 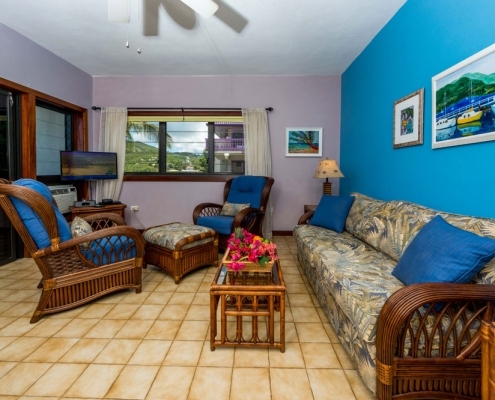 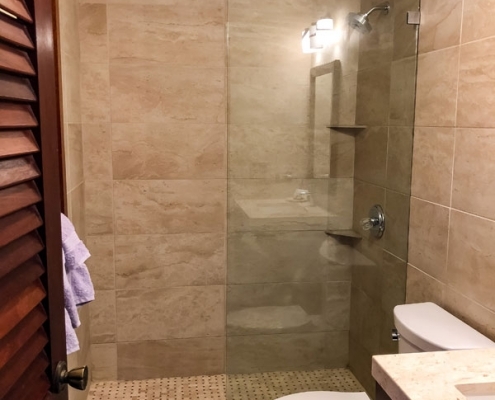 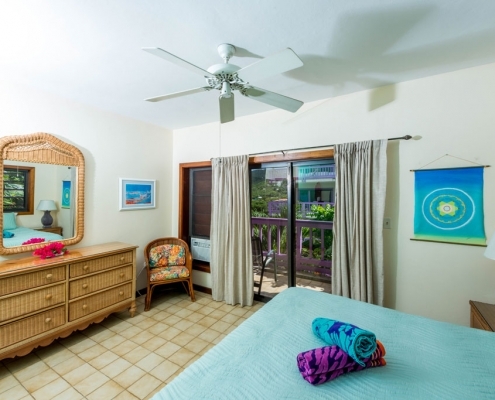 The unit is air-conditioned and has a sleep sofa in the living room, beach chairs that double as backpacks, coolers, beach towels, and a king bed in the smartly appointed bedroom.